Chevy MyLink is a popular entertainment and connectivity system available on new Chevrolet models throughout the Chevy lineup. Updating the Chevy MyLink software is a simple process, thanks to Beaver Chevrolet’s handy guide. All you have to do is turn on your vehicle, and the Chevy MyLink software will update automatically. 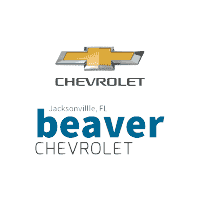 While most Orange Park drivers will not have any issues, if you do run into problems, bring your vehicle into the Beaver Chevrolet service center. Our team of certified technicians specializes in Chevrolet technology will take a look at your MyLink system and identify the issue. The audio mutes when front passengers aren’t wearing their seatbelts. You can set music volume limits. The system provides a visual and audible warning when the vehicle exceeds preset speeds. The system can generate an in-vehicle report card. Whether you want a vehicle with the MyLink software or need help updating it, we have you covered at Beaver Chevrolet. Peruse our inventory for vehicles that offer the latest Chevy technologies, or bring your Chevy to our Jacksonville service center for help with the current software. Contact us today with any questions you have!